OK I have something to admit - I watch Keeping Up with the Kardashians (and ALL the spin offs). It's my guilty pleasure. This is hard for me to admit because I generally don't watch any reality tv - but that's what I love about Keeping up K family, it's not reality, well not as I know it. They live in a world that is quite frankly a fantasy world full of big fancy houses, fast cars, fancy heels, pouting and quite a few family squabbles. Myself and himself used to watch it as a guilty pleasure, until Kourtney had her baby - if you haven't seen it, the tiny woman literally pulls the baby out herself - after that he can't really watch and still gets freaked out around pregnant women or women with babies (I think it's like a 'Nam flashback for him). This beautiful but very melodramatic family are taking over the world and they always look immaculate. While I couldn't wear those heels all day, I love how well groomed they all are. The Kardashian sisters have recently launched a makeup line called Khroma Beauty (well it had to start with a K didn't it). The line is a capsule line and, surprisingly enough, is very affordable. My favourite family member by far is Khloe (least favourite is Kim, I love that her family call her boring). Khloe is funny and brash and doesn't suffer fools gladly, she also seems a little more down to earth. Khloe's palette just happens to be my favourite look from the collection. The kit is called Khloe's Kardazzle - be warned for those that are expecting a huge big palette, these palettes are credit card size. I love the idea that they are this size because they fit everything you need and it's handbag friendly. They are similar in size to the Too Faced Glamour to Go sets. The outside is a hardened plastic with snake print design. When I first showed the kit to Sile she looked at the shadows and said she loved the shades and how compact the set is, this was before she realised that it housed blush and highlighters on the bottom layer - when she realised this it deserved an OOOOOOOOO. I love the fact that there are no poky applicators that you're never going to use included in the kit, it's compact and sleek. As you can see there are 8 shadows (including a handy mirror), the top four shades are matte and the bottom four have a shimmer. The layer underneath has all you need to perfect the chiseled Kardashian cheekbones. 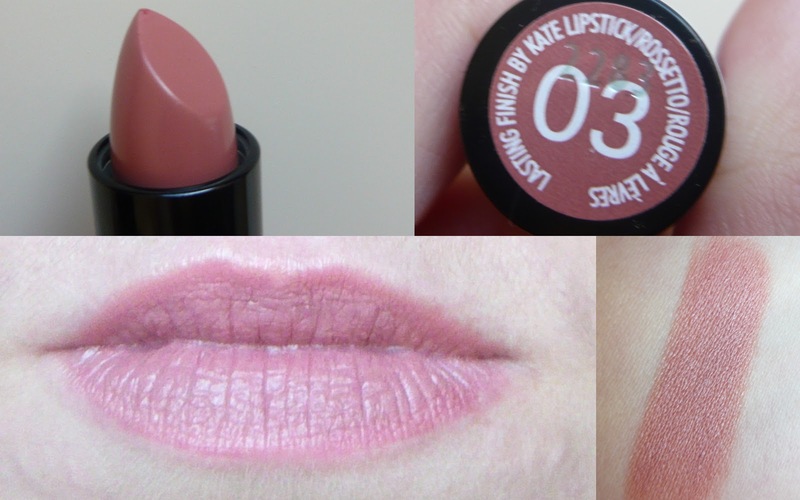 If you read this blog you may know that matte shades are not my favourite formulation to work with - makeup trends and brands are slowing bringing me around with their better quality matte shades which are easier to use and blend and Khroma are no different. If I am being honest I expected the shadows to be chalky and gritty and I was really surprised and impressed by the quality. The matte shades are smooth and pigmented and the shimmer shades are simply to die for. As you can see below the top left colour barely shows up on my ruddy arm but on my eye lid it's a perfect base colour. There are no makeup guides with this kit, you really don't need them. They are pretty shades that you can pick and choose from, creating a range of looks. While I was really impressed with the eyeshadow shades when I applied the cheek colours that's when I got a bit excited. The kit includes two cheek colours which hug onto a golden white highlighter. The peachy/pink shade is simple and pretty on the cheeks which is a perfect contrast to the matte bronzer. 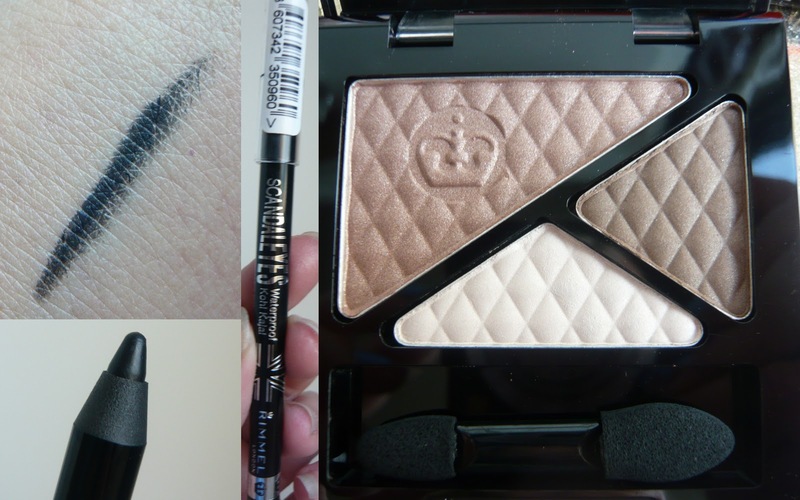 The three colours help create the perfect cheek contour. I am so impressed by the kit, I could quite happily take this on holiday and only use these products. The palette offers great range and quality all for an affordable price. Besides the quality and the portability of the palette I think I am most impressed by the selection of colours in the kit, they are so well thought out and flattering. As this is an affordable celebrity brand I can see it becoming quite popular with younger people. Don't let the celebrity name put you off, the colours are really flattering and I had to swipe it out of my mother's hands who was really impressed with it (get your own mam) and she actually thought the Kardashians were from Star Trek (do they have the bumpy heads she asked). Khroma Beauty is available from Cloud 10 Beauty (click here to look at the Khroma Beauty range) and costs €16.95 - yeah I told you it was affordable. In addition to this amazing price the lovely people at Cloud 10 Beauty are offering a introductory 15% discount if you use the promo code KHROMA15OFF. If you want to recreate Kim's signature Smokey eyes have a look at Kim's Palette but I am eyeing up Kourtney's palette which has beautiful rose gold eyeshadow. P.S. 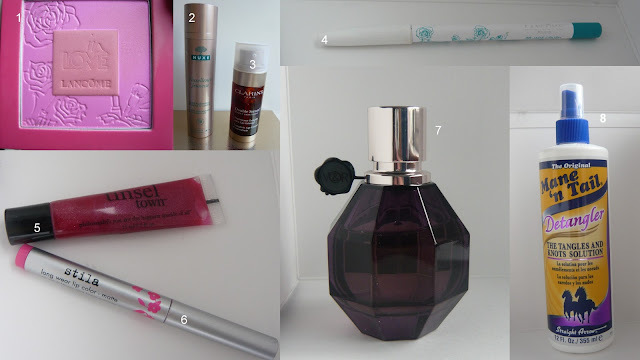 If you're anything like me you will be mentally unable to purchase just one thing online - I don't know if it's internet shopping OCD or simply greed but if you are looking to buy something else from Cloud 10 Beauty I couldn't recommend the Tigi Catwalk Curlesque kit enough (click here to check it out). This kit contains a curling wand and Curls Amplifier (which I gave to the naturally curly Redser), if you're looking to recreate Victoria's Secret hair this is the wand to use, I am always complemented on my hair when I use this (the rest of the time my hair generally looks like a hot mess). It's easy, but more than that, quick to use (what can I say I have a lot of hair and get distracted easily). It's quite literally one of my favourite beauty products I have ever purchased. 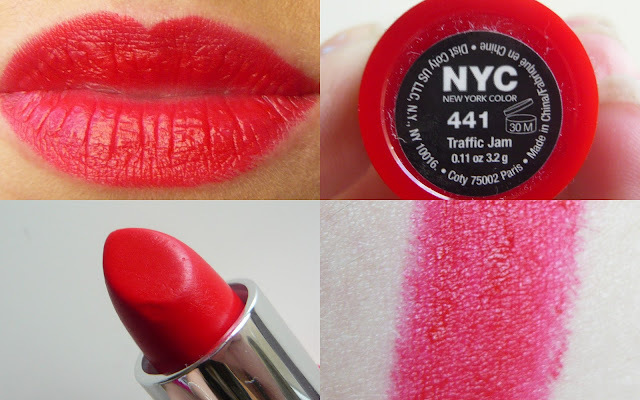 NYC Cosmetics happens to be one of our favourite budget ranges, and how could it not be with everything costing under four euro. The brand have some exciting launches coming up one of which is the Expert Last Lipsticks. The Expert Last Collection* contains 14 different Lipsticks ranging from neutral to bright pops of colour - and every possible shade in between. 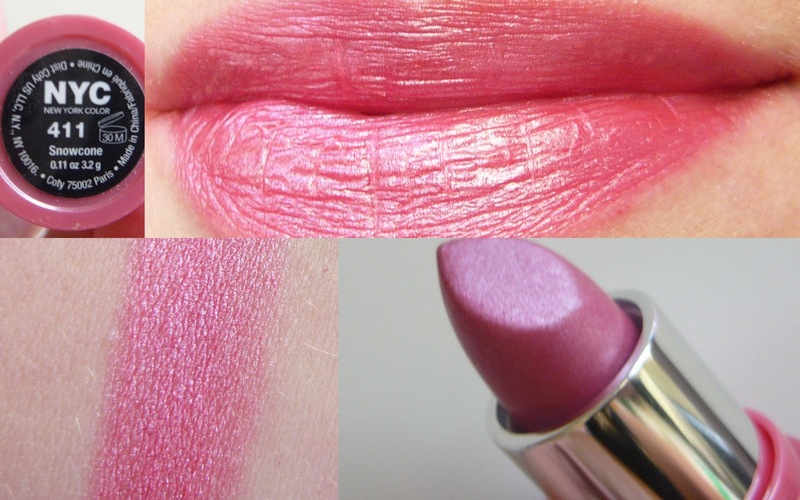 The lipsticks are long lasting but are very comfortable on the lips. They don't last all day but they do put up a good fight. They survive a cup of tea but fail to last through porridge (my sticky test) but the interesting thing about these lipsticks for me is they fade evenly on your lips. Normally with long lasting lip products (especially vibrant colours) I am left with a line of vibrant colour and the inside of the lips fade - not the case with Expert Last, these fade naturally from the lips. They smell like sweets mmmm and if that's not enough they cost €2.49. YUP that's right €2.49. I have six shades to show you, so let's get started cause there are a lot of pictures. Phew that was a lot of pictures - thanks for sticking with me. I have to admit I wasn't expecting the lipsticks to be comfortable on the lips, the fact that they are a budget brand and also a long lasting lipstick. 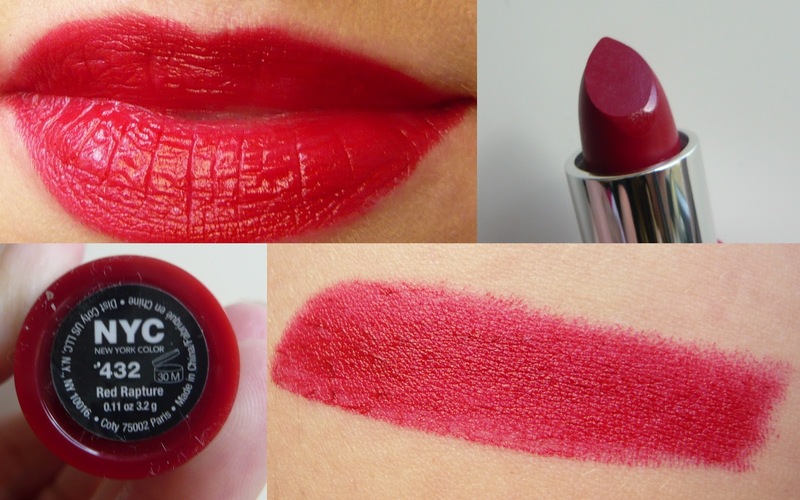 I was very wrong - the lipsticks are very comfortable on the lips and a pleasure to wear. 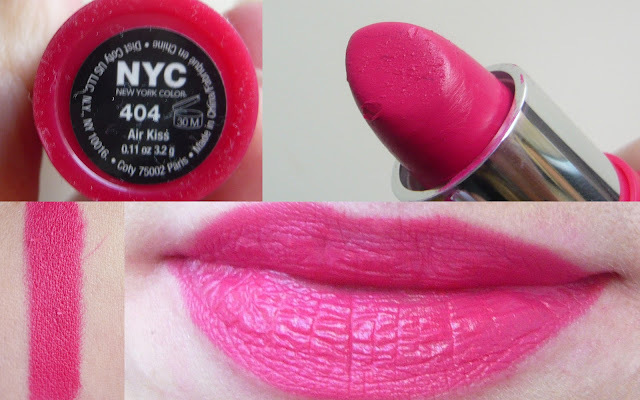 If you read the blog you know that I am a fan of bright lipsticks - its somewhat a signature look for me, but Sile never wears brights lipsticks - until she tried Air Kiss which is her current favourite lip product (she likes to blot down the lipstick so its not as intense). Expert Last are a great product in a amazing range of colours at an affordable price - what's not to love about that? 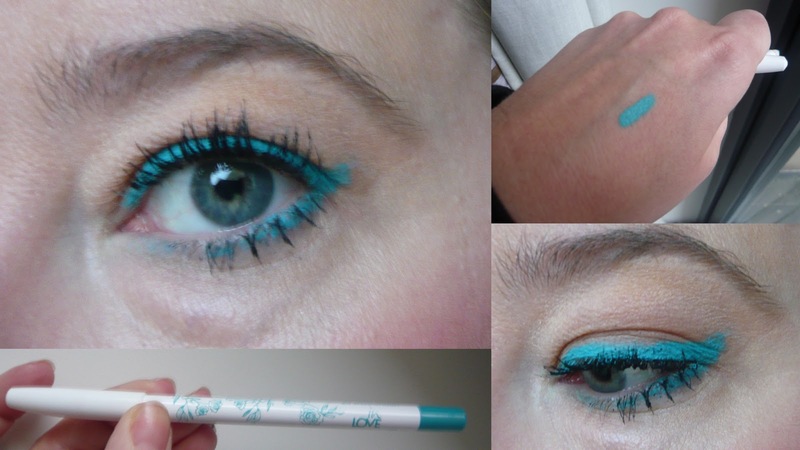 At €2.49 what an amazing way to try out new shades? This giveaway might only be of interest to the beauty professionals amongst you - or if you're a non-professional like me but you're still roped into doing hair colouring and fake tan and all sorts for family and friends, it could also come in handy! Diamond Designs, an Irish company based in Co. Monaghan, have been making uniforms for beauty professionals throughout Ireland and the UK for 24 years. They have been in touch to offer one of you the chance to win a Protective Apron. 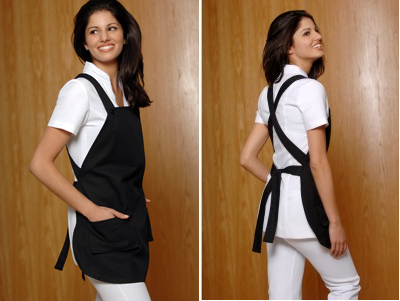 Protect your clothes from oils, tans and make-up with this apron from Diamond Designs Beauty Uniforms. The apron has a stylish cross over back and front pockets where you can store the tools of your trade. The giveaway is open internationally - to enter just follow the instructions below. Good luck! Ok Ok I know this collection is called Sweetie Shop but I can 't get the song Candy Shop out of my noggin. Butter London is one of those cult brands that I have always been interested in trying, after all who wouldn't want to try something from a brand that has brought us a lip gloss in the shade "Trout Pout". How brilliant is that. I have seen the range in Avoca and I have been a little overwhelmed at what shade to try, they are all so pretty. For Spring 2013 - which is now fact fans - Butter London have released Sweetie Shop, a collection of six sweet pastel shades as the name would suggest. If you imagine Betty Draper became a time traveller who decided she would create a nail polish range, this is what she would create (although if you created time travel you might want to do other things than create a polish collection, like visit Madonna when she worked in Dunk in Donuts and laugh at her in the uniform - although travelling in time to create a nail polish collection sounds perfectly reasonable to me). So Betty the time travelling nail polish creator - are you still with me? 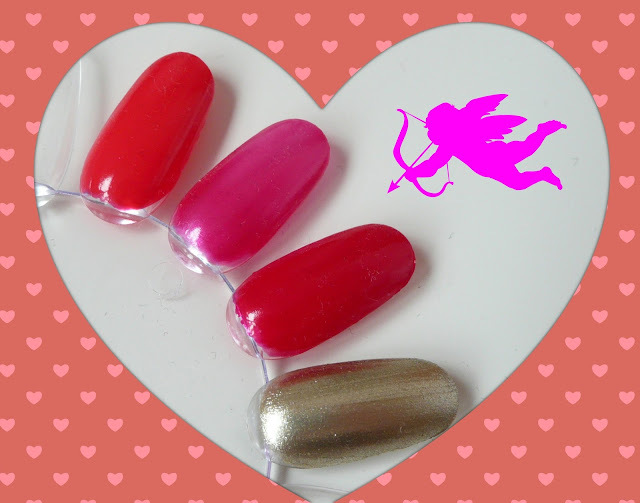 - decided that we should all have classic lady like pretty nails this spring, and gosh darn it (Betty is a lady and does not swear) it might be cold outside but we are going to have bright and pretty nails NOW. On my nails today (they are so pretty I couldn't just choose one now could I) are Fiver*, a mint and Molly Coddled*, a lavender shade. The polishes apply pretty opaque but as they are light pastel colours I did need to apply two shades of Molly Coddled (the purple) and to get a smooth coating of Fiver I had to apply three coats. The coats were easy to apply and although Fiver took three coats - a less picky person could have gotten away with two - the polish applied beautifully. I am in love with the shades of this collection and it seems other people are too because a few people have commented on my nails. The colours really have cheered me up during this dull and dreary weather. Butter London nail polishes cost €15.00 and are available from lots of places including Avoca (get some cake to go with your nail polish), Dylan Bradshaw, Harvey Nichols, Beauty Matters.ie, Millies and The Loop (for those of you doing a bit of travelling). And seriously how cool is the name Trout Pout for a lip gloss. Have you ever had a product that is quietly working away, not throwing glitter around or being all showy, just doing its job? For me Yes Nurse - Protect your Lovely Hands has been working away keeping my hands safe all winter and I almost forgot to tell you about it. I use quite a bit of hand sanitiser during the day which as we all know dries out your hands, between the hand sanitiser and the cold my hands are usually looking pretty bad this time of the year. A lot of hand creams are either in a large size perfect for your desk in work - perfect if you have a desk but we don't all have desks - or in teeny tiny sizes where you're almost scared to use it in case you run out on the first application. Yes Nurse is the perfect size - it fits in your hand so fits in your bag perfectly and doesn't weight your bag down. What I love about this is it's absorbed so easily into the skin - no greasy residue. It has a pleasant light fragrance but nothing that is overly flowery and girly, its smells fresh and kinda like honey. It has gotten to the stage that every time I take this out the guys I work with hold out their hands for some. It's surprising that something so nourishing can be absorbed so easily into the skin. As you can see my container has been well used and well worn and is still working away - never leaving my handbag. Yes Nurse contains Manuka Honey - honey of course has its own anti bacterial properties. The cream which was created by a Nurse also contains pomegranate, passion fruit oil, wheat germ and sweet almond oil. Yes Nurse costs €6.99 which is great value especially since you don't need a lot of product. The effectiveness of this product and the fact that it is so affordable makes it a Hand Bag Must Have. Now I am off to put this back in my bag because I would be lost without it. I have been thinking about this post for a while and it's like Gemma over at Gemsmaquillage read my mind (read her post far superior and more knowledgeable post here). I love makeup but I think that your skin is of vital importance, not only is it the biggest and busiest organ in our body, it also makes or breaks how we appear to the world. You could have the most expensive, groundbreaking foundation in the world but unless you have a good base with your skin, it will look bad. I am turning into a advocate of eating my way to good healthy skin - proof of this would be my skin just after Christmas, my diet which consisted mostly of trifle and cake showed plainly on my greasy and blotchy skin. Remember when we were teenagers and our parents said if you eat too much rubbish you will get spots. Ha how we laughed. When I look back at my teenage self I didn't really suffer from spots at all, at most I had one spot at a time - but sure why would I have spots? Generally there was only a yellow pack multi pack of crisps that would last the house a week - no gorging on multiple packs of crisps at the one sitting. There wasn't as much rubbish in the house to eat, no lunches of lattes and scones, no plates full of beige food (I used to be guilty of this). Take out food was a treat that happened once or twice a year. I might be too old for this realisation but having fruit and veg in your diet is great for your skin, it will take a couple of weeks to notice but I guarantee that you will see the results. The more colour you have in your diet the more vitamins you're getting. Sure you could buy a skin supplement, but it's much better not only for your skin but for your overall health to get your nutrients from food. Now you would think that I am a skinny Minnie saying all this but I am not, for me it's not about weight, it's about being healthy from the inside out. I am no saint - I have my treats at the weekend, but I try and live by the 80% good 20% naughty approach to food. Another thing that is important is fat and I mean good fat, it is so important for ladies of a certain age (over 30) to have some fat in their diet - not that you should eat 10 McDonald's a day but good fats are great for skin and specifically wrinkles, so don't be afraid of foods that are high in natural fats (like avocados) because they plump the skin. If you're constantly eating low fat foods not only will it show in your skin - causing Ms Wrinkle face- these foods also tend to be high in sugar which of course causes havoc with your skin. So low fat is not always the best option (plus they tend to taste rubbish). Eating my way to beautiful skin has been a bit of a resolution for me and it's working well. Do you eat your way to healthy skin? Full disclaimer: I have a massive spot on my chin but hey nobody's perfect. We're major fans of NYC's In a NY Minute nail polishes - at €1.29, they're absolutely outstanding for the price. €1.29! As my mother would say, sure what would you be doing without a nail polish? If you're in need of a nail polish update for 14th February, or indeed just for, ya know, life... check out this edit of four polishes from the brand for Valentine's Day. 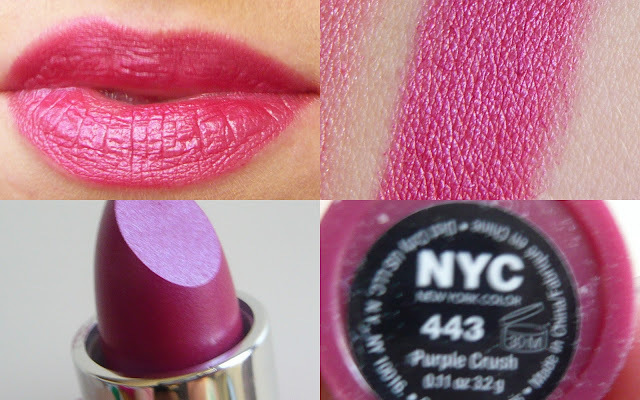 Swatches from top to bottom (all are two coats) Times Square, Midtown, Madison Avenue, Full Metal Jacket. As always, the formula cannot be faulted. I've been wearing Full Metal Jacket and Times Square over the past few days and have gotten loads of compliments on both. Full Metal Jacket is just the most gorgeous metallic gold and it's totally opaque in one coat. It even made it into our 2012 favourites, it's that good. I'm also loving Times Square, which is a lovely orange-red. It's super bright, and kind of what I think American Apparel's Neon Red should have been. It will look amazing on tanned toes in the summer. 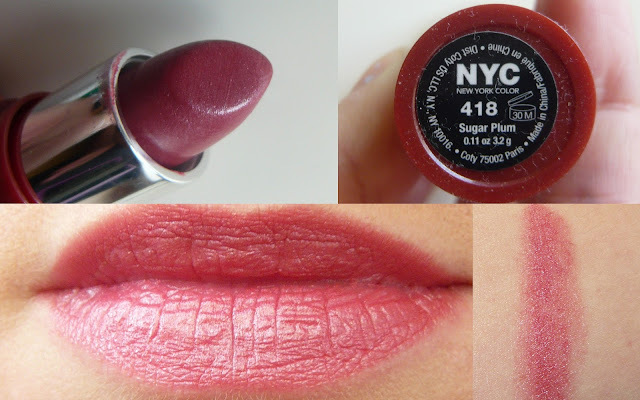 Have you tried NYC nail polish?